Malta is a beautiful mediterranean island nation having robust economy, stable political system, sound financial institutions and highly developed nation in Europe. Under the legal act of Legal Notice 47 of 2014 of Republic of Malta under “Individual investor program” grants individuals and families citizenship and passport who involve in technology, social and economic development in Malta. Maltese passport is highly respected in the world rated as the 7th best passport for travel. It is possible to apply for immediate citizenship through naturalization under this scheme, without any living in the country. Under the Malta citizenship by investment program, the investment has to satisfy all the 3 conditions below..
Investment in Real estate (optional €350,000 if purchased) or rent a housing (€10,000 per year lease). Immovable property cannot be let or sublet under the rules and must be maintained for 5 years. Purchase Malta Government Bonds or securities listed in Malta stock exchange (€150,000 refundable maintained for 5 years). Above payments must only be done after receiving initial approval from Malta Government. No requirement to permanently live in the Country. Application approval within 3-4 months. Full & Permanent lifetime citizenship in the European Union. Family and children can apply under one single application. No taxes in Malta unless you decide to live there for more than 6 months. EU/EEA citizens are eligible to apply. Visa free travel to over 160 countries including USA. Main applicant must be 18 years old. Demonstrate Good health and undergo fitness test. Dependents such as spouse, children (18 or less), Adult children (18 or more less than 27 years unmarried), Senior parents (aged 55 or above) must be fully supported by main applicant. Provide misrepresentation, false or concealed information. Citizenship is revoked if imprisoned abroad for more than 12 months in another country. Pose as a potential national security threat to Malta or member states in EU. Denied a visa to a country with which Malta has visa-free travel arrangements (EU, USA, UK etc) and has not subsequently obtained a visa to the country that issued the denial. Associated with business willingly assisting enemy at war. No taxes apply unless you have lived for more than 183 days (tax resident) in Malta. Taxes determined based on the “residence status” not based on holding “citizenship”. 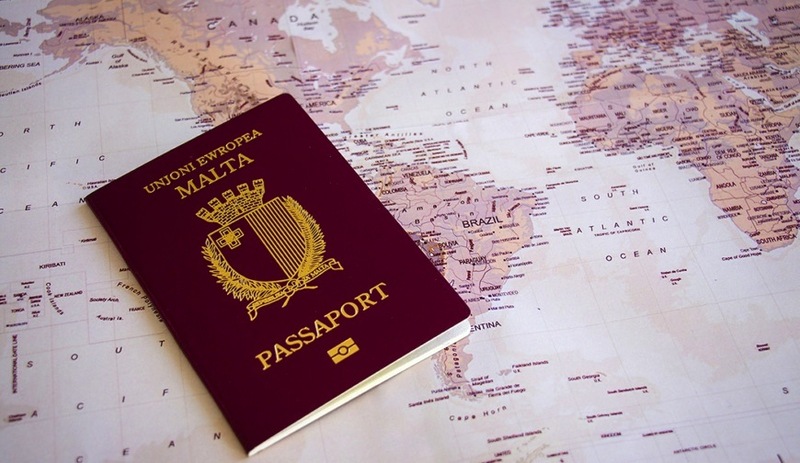 The acquisition of Maltese citizenship under the IIP doesnot, in itself, trigger tax residency, but even if one decides tomove and take up permanent residence in Malta, one would normally still retain the status of a non-domiciled person. Malta does not impose estate or gift tax but does levy a Capital Gains Tax (CGT) on various assets (mainly immovable property and shares). CGT is not levied on transfer of immovable property if the person transferring the property has owned it and occupied it as his main residence for a period of three consecutive years immediately preceding the date of transfer and if the property is transferred within 12 months from vacating the premises. Otherwise, tax may be levied at up to 35% on the gain if the property is sold within the first 12 years of ownership or 12% on the sales consideration if the transfer is made after 12 years of ownership. The 12% final tax, however, does not apply if the individual property owner is not resident in Malta. The The standard VAT rate is 18%. The corporate tax rate is 35%; special tax concessions, however, apply for non resident/non-domiciled owners. Malta has concluded double taxation treaties with around 60 countries. A number of other agreements are signed butnot yet in force. Total costs will come around €900,000 (without real estate) to €1.2 million (with real estate). This includes additional costs such as lawyer fee, due diligence fee, additional family members etc.. The processing time is 12-15 months until certificate of naturalization and passport is granted. Malta citizenship is a lifetime permanent citizenship with one time investment. Family descendants and new born babies automatically acquire citizenship. The final stage of the process; the applicants are issued with Maltese ID cards and Maltese Passports. Once the status of citizenship is acquired, residency issues with respect to the programme cease to exist altogether, to ensure compliance with EU law and human rights obligations. Despite this, residency may be important for other aspects, such as taxation and voting rights. All applicants and dependents have to satisfy residency requirements for proving genuine link to Malta. Malta requires a visit of minimum number of days in the country in the first year of around 2-3 weeks only for completing various formalities with the Government authorities. Certificate of naturalization only issued after 12 months having proved “genuine link” to Malta and by satisfying residency-requirement. Iran, North Korea, Afghanistan, Somalia or a country under international sanctions. You have to arrange the following documents to attach to the application for naturalization under the investment program. Global health insurance coverage 50,000 euros. Proof of source of income (bank statements). Health certificate from registered medical practitioner. Personal details, family information, education and employment. Tax statements from the country of origin. * All documents must be duly notorized or apostilled for use in Malta. Malta does not require you to give up your current or existing citizenship, after becoming a Maltese citizen. Dual nationality is freely allowed. The Minister shall every year publish in the Gazette the names of all persons who were granted Maltese citizenship under the IIP citizenship program. Maltese passport ranked 7th best passport in the world with free travel to 181 world countries. Malta is a member of Schengen area and EU member state. Maltese citizens are EU citizens with full rights of travel and establishment in the EU member states.